> mdw HOME > Presse/News > Neuigkeiten an der mdw > News Startseite > Forum "El Sistema"
MENÜ : Forum "El Sistema"
16 May 2018: The objective of the event is to discuss how the music can be a powerful instrument to promote social inclusion and a culture of peace and therefore contribute to preventing violence against children. 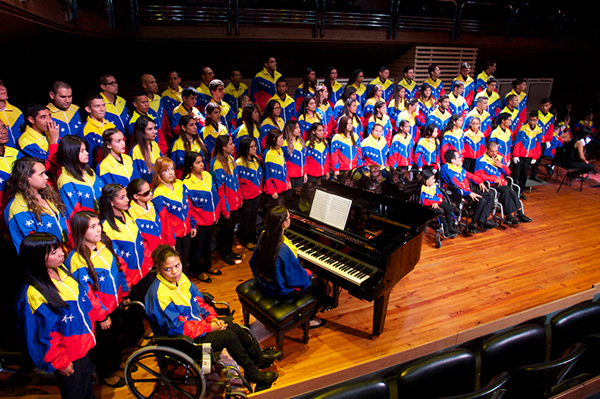 The "National System of Youth and Children's Orchestras and Choirs of Venezuela" (El Sistema), a social project founded by maestro José Antonio Abreu in 1975. Its main objective has been the inclusion of children and youth to the musical training as a tool of the collectively social transformation. 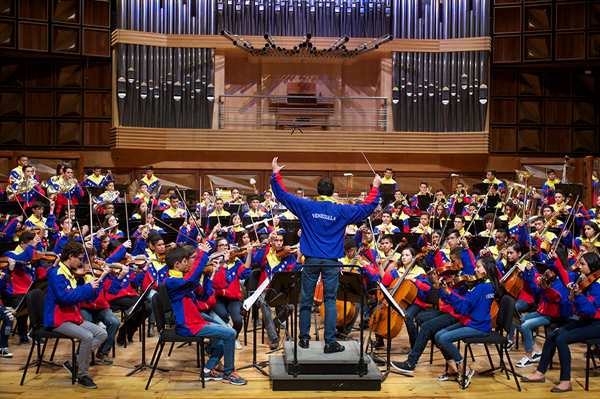 El Sistema is a public policy implemented by the Venezuelan State that has reached one million members in 2018. The impact of this public policy has been positively evaluated through scientific studies conducted by UNDP and the Inter-American Development Bank (IDB), that has recognized the positive effects of this social and cultural model on social inclusion, culture of peace and reduction of aggression and self-regulation in children and youth. The results of the evaluation will also be presented at the event. Mr. Méndez will present the history of El Sistema, its philosophy, structure, modules, its programs and the musical centers located in the country. Additionally, he will explain the alliances of El Sistema and the United Nations. The motivational and social aspects of learning processes in El Sistema, as a basis for its societal impact.